This list may seem like common sense to you, but you’ll be surprised the request people have to move their items. Here’s a list of items movers will not move also an update from our previous post here. 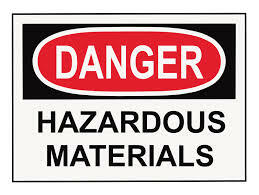 By law movers are not allowed to move any flammable, corrosive or explosive items. Some of these items on this list are common household items but not limited to. If you’re moving locally or not so far from your previous home, you can move some of these items within your own vehicle. If you are loading yard equipment make sure to drain out the fuel first. If you are bringing firearms with you make sure there are unloaded and locked up somewhere safe. But if you are moving a distance with firearms, it is best to do your research since there are different laws and regulations within different states. Your best bet when it comes to moving long distance with firearms is dropping them off at federal licensed firearms dealer. From there they can ship you your firearms and it will cost to do so. But it is cheaper than being stopped at the interstate and spending the night in jail. Do not try to be sneaky when it comes to moving these hazardous items with movers. If something were to happen because you packed a hazardous item with other items for the movers to move. They are not responsible for the damage, their insurance will not cover it and neither will yours. It’s pretty obvious movers will not move your pets. 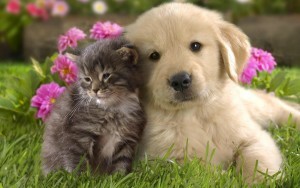 Of course our pets are not seen as items but part of the family. But did you know some moving companies will not move your plants as well? Your pets can tag along with you in your vehicle during your move, stay at a pet hotel or stay with sitters. As for your plants, some companies might be able to move them if it’s a short duration. If you’re moving across the country with your plants, the movers will not do it. It is actually illegal for movers to move plants no more than 150 miles. This is due to the fear bugs traveling on the plants from one state to another. Most likely it will be very hard for your plants to survive such a long trip. If you are moving a long distance you might want to consider donating your plants or giving them to a loved one. Item Movers Will Not Move: Perishable Foods. The reasons why movers will not move perishable foods is because they can spoil, spill over, damage your items and attracts bugs. The best solution will be to move it yourself with a mobile cooler of some sort and travel with you. 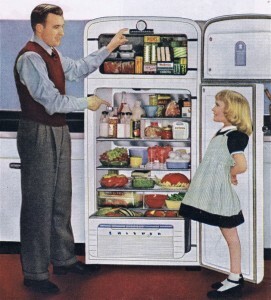 Also make sure you empty your refrigerator 24hrs prior to your move, you can eat it all, donate it, give it to loved ones or haul it along with you. 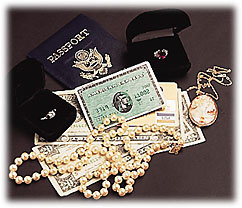 If you feel your movers’ insurance policy cannot reimburse or replace something that has sentimental value to you i.e. grandma’s wedding ring, its best to take it with yourself. Now somethings do take movers to move, just make sure you tell them that those items need the utmost care. Checked off your list on what movers can move for you? Ready for movers to help you with your next move? Contact Garrett’s Moving & Storage at 972-487-5843 or www.garrettsmovinginc.com. Make you review again, items movers will not move. This entry was posted in Apartment Moving, Estate Moving, FAQ's, Moving Stories, office moving, Stress Free Moving Tips, The No Pack List, Travel Tips, Uncategorized. Bookmark the permalink.